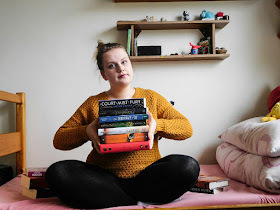 Girl with Cloudy Head: Is there something as too much plotting? Is there something as too much plotting? Oh look, it’s my fear of actually writing again. Well, hello there, I haven’t seen you in a while. Oh and I certainly didn’t miss you. For some reason, plotting for me is a safe place because I still give my story the attention it needs to live and it gives me this false idea that I’m actually working on something when in reality it’s procrastination dressed in nice clothes. I plot, which doesn’t really take a lot of my energy and creativity, instead of writing the important story. I mean, there are only so many stories about the kingdoms one can write and I definitely went beyond that line. Some of them don’t even matter! I am sorry, my little devious creations of intrigues, but some of you won’t be mentioned in the story. Plotting for me is important part because that’s how I roll. Some people don’t plot at all, some yes, some are mixture of those two, we’re all different but I think there is something as too much plotting. It’s the feeling of comfort while creating all these myths and subplots and backgrounds of characters and while some of them may be important and may help with the writing of the story, some may be just an excuse. It’s the feeling you get when you realize you should actually continue with the main story, the feeling you get when you realize that there is something more complex waiting for you to finish, that there are characters to develop. It’s the feeling of fear that you forgot to plot something and you won’t be able to continue with the story or that without thorough plotting your story won’t be good enough. I wrote 16 pages of entire history of Adria and I still told myself “I’m not ready to get into the story again. I need more.” And yes, I know where it all comes from but in order to solve the problem, I would have to rewrite the whole story. I’m talking about 18 chapters. All over again. Because it’s hard when you realize in the middle of your story that your character is not who she is. Or rather she’s not acting like herself. Now, I’m not stupid, I’m not going to rewrite all those chapters because that would send me to the beginning which means the finishing line would be sooo much further. So I told myself that it’s the right time to stop plotting. I don’t really believe myself and yes, it took me some time and a few good arguments to persuade myself that it’s the right choice, even though it’s the scarier one. I told myself that this plotting session I had this past month was a good one. I really needed it, because I haven’t been in touch with my story lately and I needed to ensure myself of some things. Now it’s time to stop and continue on with the story. I know all the details I need. I came up with a few good plot twists, I must say I’m proud of myself. What I want to say with my ramblings is that it’s okay to fear your story. I think that everyone at least once experienced it and if you haven’t, you have my admiration. I’d love to have such a relationship with my writing and my stories. Unfortunately, I don’t. My characters don’t listen to me, they don’t help me solve their problems, I’m still not mastermind of intrigues and royal conflicts but I’m trying. Let’s say that this is my encouragement for you to stop worrying about what will happen with your story. It may be rubbish but you polish it later. If you feel like you’ve been plotting too much, just leave it and dive right into the story. After all, those creatures have their own rules and they like to play according to them. As I said, they don’t listen but if you’ll be nice to them, they share secrets with you. Secrets you wouldn’t know about if you were still plotting. Now, stop with the plotting and go write the big story. 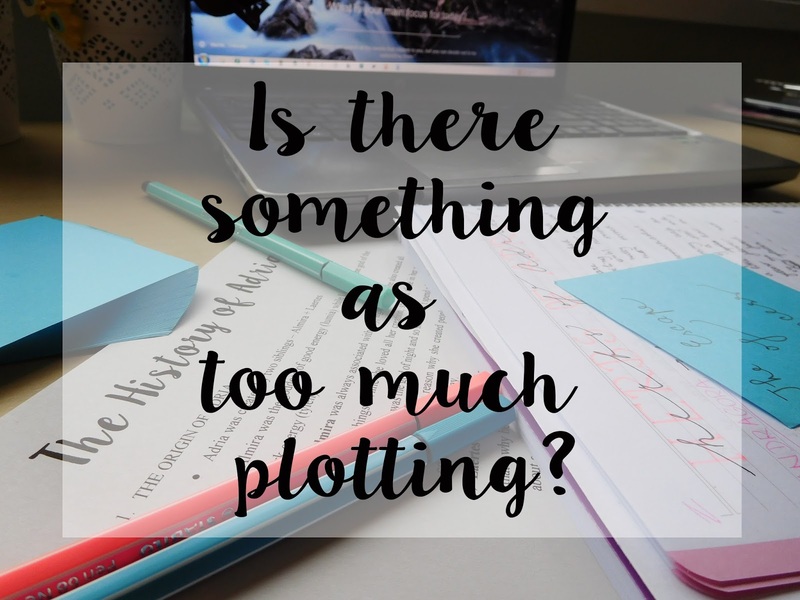 Let's talk: Do you feel sometimes that you plot just to procrastinate? Did you find yourself in this state? What would be your advice for person who plots and plots and plots and doesn't write the actual story? Oh this is such a good question!! I actually am a huge outliner, but not necessarily a plotter. It's weird how that works?!? Like I will detail out what has to happen in ever scene but then I forget to actually do world-building or figure out what my characters look like.😂 But I do think it's definitely possible to plot to procrastinate! Sometimes you just have to take the plunge, particularly if it's for a first draft. Details can always be added in later for sure *nods* I totally admire how deeply you plot your worlds though! THAT IS SO AMAZING AND I ENVY YOUR DEDICATION THERE!! Oh I know this feeling too well. Not necessarily when I'm first writing the book as I am unfortunately a chronic pantser. I always procrastinate by planning my edits extra thoroughly. I could write a thousand pages working out how to fix the book before starting to edit if I'm not careful. Maybe it's because we feel more in control of the idea while it's just that, an idea. Not being in control is scary. Certainly for me it is. My piece of advice for someone who never stops plotting: It's never going to be perfect. You're never going to be ready. It's simply not possible. You just have to take the plunge, trust yourself and write the book. Sure, things are going to change. It's inevitable. You're never going to be able to control every detail. And that's ok. Sometimes wandering from the path is the right thing to do. I literally do the exact same thing. IT'S SO HARD!! !